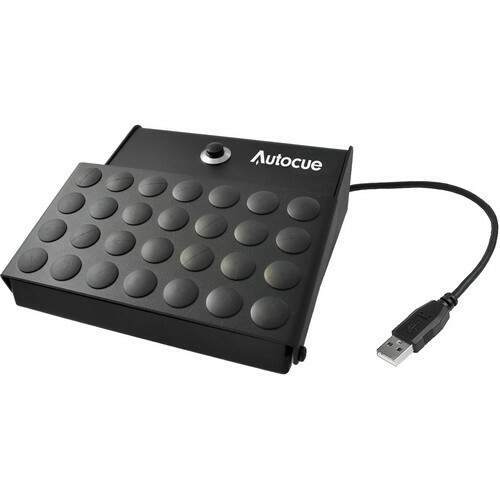 The Autocue/QTV USB Foot Control is a forward/reverse and variable speed teleprompter scroll controller with a USB connection. It's designed for use on a flat surface. Box Dimensions (LxWxH) 10.7 x 7.7 x 4.2"